Meet the Book Club of the Hague that beats loneliness. This month we are reading a Greek author, Nikos Kazantzakis. The classic novel, international sensation, and inspiration for the film starring Anthony Quinn explores the struggle between the aesthetic and the rational, the inner life and the life of the mind. Zorba has been acclaimed as one of the most remarkable figures in literature; he is a character in the great tradition of Sinbad the Sailor, Falstaff, and Sancho Panza. He responds to all that life offers him with passion, whether he’s supervising laborers at a mine, confronting mad monks in a mountain monastery, embellishing the tales of his past adventures, or making love. 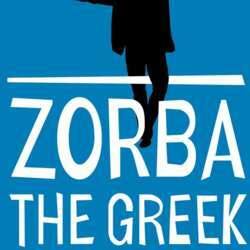 Zorba the Greek explores the beauty and pain of existence, inviting readers to reevaluate the most important aspects of their lives and live to the fullest.